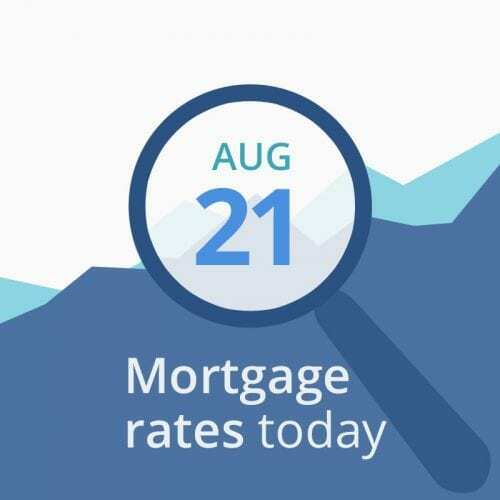 Average mortgage rates today have barely moved since Friday’s opening. Probably because trading volume is light (investors take vacations, too), no important reports have been issued, and the economic data have pretty much canceled each other out. Today’s opening data does look worse for rates, however. We have no scheduled economic reporting today, and will once again rely on financial figures like those listed below the rate table. And global economic and political events can jerk current mortgage rates around like a wayward Labrador on a loose leash. It’s no secret that interest rates have been trending higher, despite occasional drops. According to a survey by the Federal Reserve Bank of New York, U.S. tariffs have increased costs for domestic manufacturers, and many manufacturers indicate that they will to pass increases on to customers. What causes rates to rise? Inflation. Today’s data are mostly unfavorable for mortgage rates, especially stocks, Treasuries, and oil.